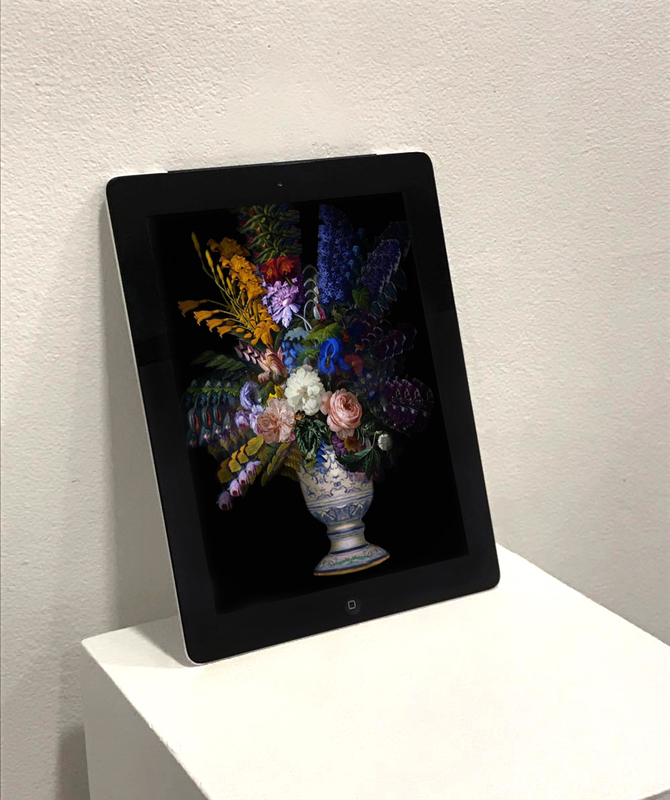 The Still Life of Doran Grey, is a video work that features a vase of flowers that appears to be still whilst slowly distorting and changing . A combination of painted and photographed flowers fade in and out as the arrangement alters over time. The work uses the conceptual implications of the still life to explore the shadow of immortality reached in the digital space. This work was shown as a part of Stillness, a group exhibition curated by Rhiannon Hopley.